Live at Rockpalast                     (2016) M.i.G. 2CD Peter Hammill & The K Group - Live at Rockpalast - order now at Amazon! 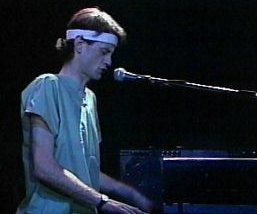 Peter Hammill & The K Group - Live at Rockpalast Box-Set, CD+DVD - order now at Amazon! The Silent Corner and the Empty Stage - Original Recording Remastered - bei Amazon bestellen!